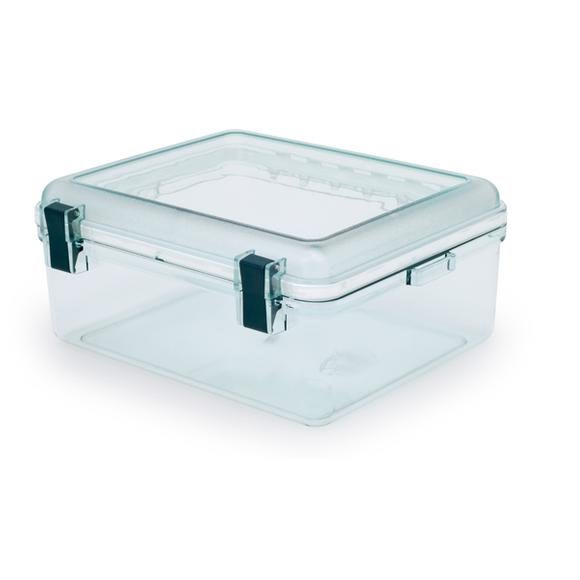 Watertight and crush proof, GSI Outdoors' Lexan gear boxes keep valuables and essentials safe and sound through almost any conditions. Watertight and crush proof, GSI Outdoors &apos; Lexan gear boxes keep valuables and essentials safe and sound through almost any conditions. Dimensions (packed) 9.50" x 7.80" x 4.00"